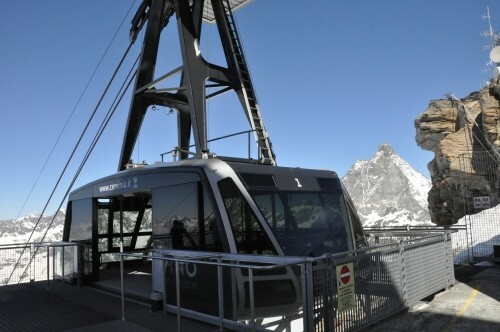 The two aerial tramway cabins in the international winter sports area of Breuil-Cervinia and Zermatt transport the guests on the Italian side from the Cime Bianche Laghi (2816 m) to the Plateau Rosa (3458 m) on the Matterhorn. In the summer of 2010 until the spring 2011, the entire Italian construction was subjected to a general overhaul, including the replacement of the cabins by two new cabins with a capacity of 125 persons. 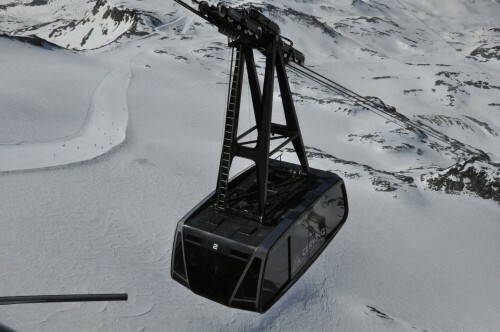 These delight with large panoramic windows and overcome with a speed up to 44 km/h a cable length of 2900 meters. The cabin is manufactured in aluminum. The individual profiles are connected on one hand by welds to each other and on the other hand using rivet connection details. 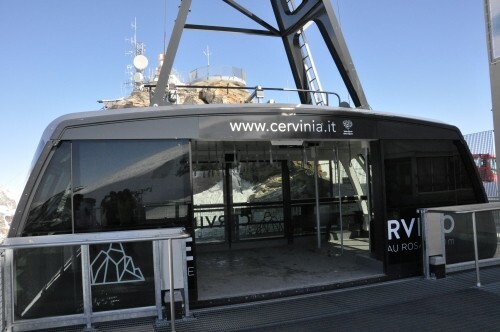 The roof and the walls regarding the Cervinia cabin consist of shaped tubes, the primary floor structure consists of composite cross sections. For the large panoramic windows laminated safety glass instead of the usual polycarbonate panes was used.